CEA is the French Atomic Energy Commission (Commissariat à l’énergie atomique et aux énergies alternatives – http://www.cea.fr). It is a public body established in October 1945. The CEA is active in three main fields: Energy, information and health technologies, defence and national security. In each of these fields, the CEA maintains a cross-disciplinary culture of engineers and researchers, building on the synergies between fundamental and technological research. CEA has a workforce of around 15,000 employees. 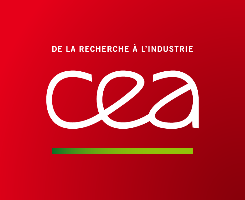 Within the CEA Technological Research Division, institutes lead research in order to increase the industrial competitiveness through technological innovation and transfers. Two institutes, CEA-LETI and CEA-LIST, within CEA Technological Research Division will contribute to FED4SAE, especially building on their current coordination of both GateOne and EuroCPS (1 st phase Smart Everything Anywhere projects). CEA-LETI & CEA-LIST gather more than 2000 people focusing on many different applied research domains such as RF, digital and SoC design for image processing, design environment and embedded software, sensor integration, wireless communication measurement, test and design, including antennas. Researchers perform work for both internal clients and outside customers. Specifically, the embedded systems research covers architecture and design of systems, methods and facilities for software and system dependability, and intelligent vision systems. The System division is dedicated to research and development of sensors and their integration within consumer or industry related context. The competences rely on both the new sensor development and characterisation as well as signal processing for dedicated use (e.g. wireless sensor network, low power consumption and context capture including physiological monitoring, infrastructure embedded systems…). CEA platforms have the skills and methodologies that enable it to meet both the needs of SMEs, ETI, as those of larger groups (reporting, certification …). They are now at the heart of the dynamic national innovation able to face international competition. These shared platforms are the nerve centres from which organize the distribution of generic technologies to companies.